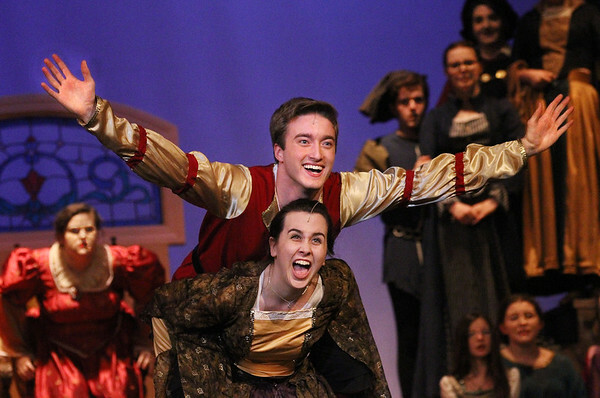 Brendan Johnson and Jessyca Muniz play Prince Dauntless and Princess Winnifred during a rehearsal Monday for the musical "Once Upon a Mattress" at Gloucester High School. The play will be presented to the public in the school auditorium Thursday, Friday and Saturday at 7 p.m., with a 1 p.m. matinee on Saturday. Admission is $15 for adults; $8 for students, staff and seniors.